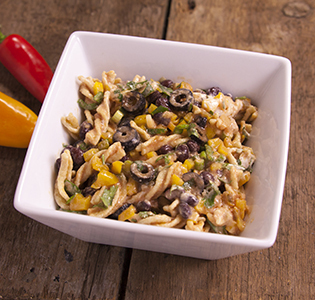 This south of the border recipe makes a great addition to your summertime meals. 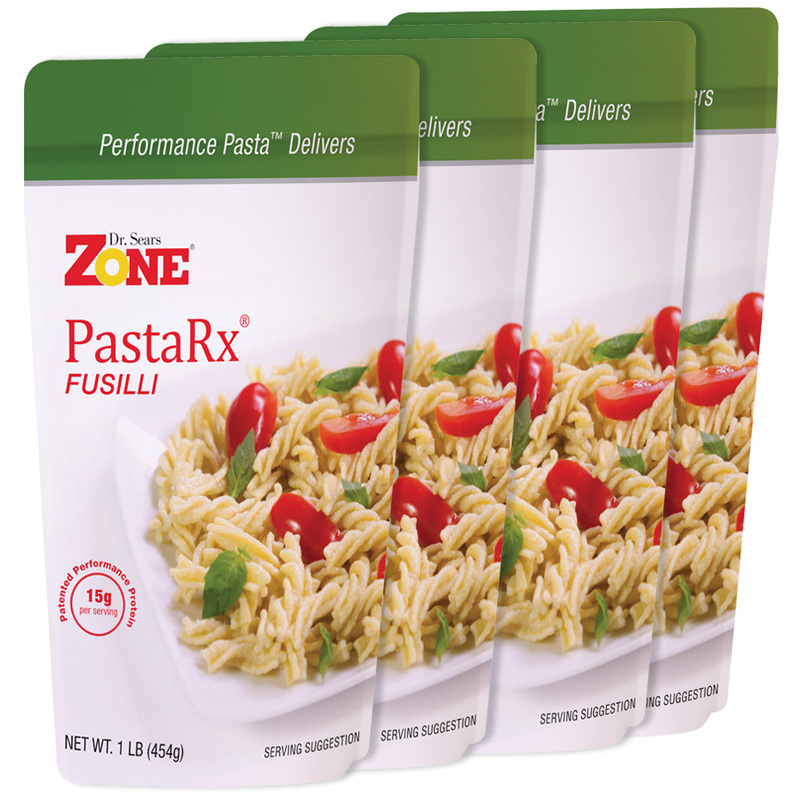 Prepare Zone PastaRx Fusilli according to package directions. Rinse in cold water to stop cooking. Set aside to cool. Meanwhile in a large serving bowl, gently whisk together garlic, salsa, olive oil, yogurt, lime juice, chili powder, cumin and salt. Stir in cooked pasta and remaining ingredients.